Thanks for that. Yes, the tyres are behaving themselves. Still not 100% re tummy, but am almost there. How was your trip away? message from Mo! I’m still avidly following Keith.bike but the latest gripping instalment doesn’t have the option of leaving a comment, and I got lost in the coils of Strava. If you are in touch with him can you give him my best, please? The expat cycling community in Biarritz and the cyclists of Northumberland Wildlife Trust are in full support, and Sally’s husband Chuck is monitoring closely from NC. The Professor of Differential Psychology at Edinburgh Uni is also well impressed, and that’s saying something. Can you thank her for the great message and the support. Can you send me an email with her and K’s addresses and I’ll send them a postcard from somewhere! Happy Birthday! You seem to be managing to interact with a fair number of people despite language difference. Do many of them speak English? Even when they only have a little, and you can throw in a little Spanish, then you have some basic communication. 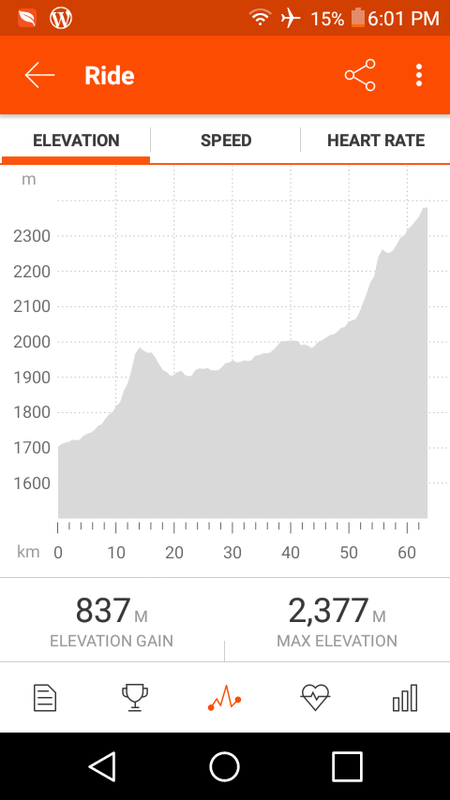 You mention being at >2000m elevation. That must have taken some doing. I only hope it’s cooler up there. Is it? It is cooler up here – but the sun is strong. So a cloudy day is perfect! I gather you’re having a good autumn – hope all is well . keith.